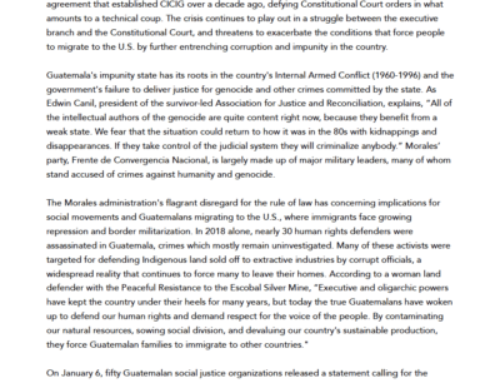 (Ottawa/Guatemala City) Today, a letter from Guatemalans living in the vicinity of Gunpoint Exploration’s ‘El Escorpión’ project was sent to the company raising concerns about inadequate disclosure in company filings, particularly considering overwhelming results of a 2011 municipal referendum that rejected any mining in the area. 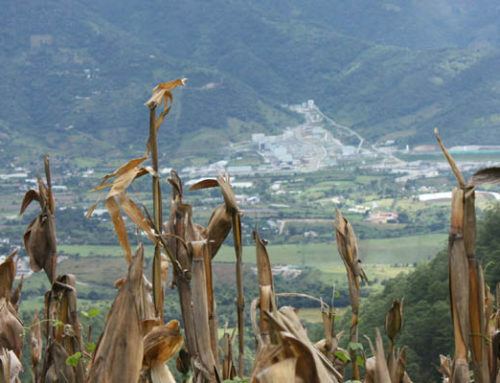 Gunpoint Exploration’s El Escorpión project is located nearby to Tahoe Resources’ conflict- ridden Escobal silver mine in southeastern Guatemala. 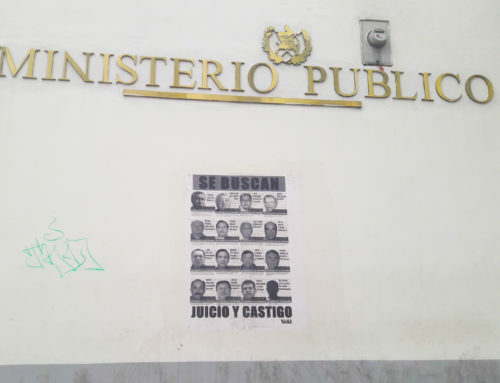 Local groups the Defenders of Nature of Casillas and the Community Development Council of San Juan Bosco wrote to the Gunpoint’s President asking for clarification about where and what its interests are. They underscore that the company has failed to report to shareholders that the municipality of Casillas, in which the company’s Escorpión project is supposedly located, held a referendum in which 98.6% of over 5,000 local residents who participated voted against any mining. In late 2015, Gunpoint Exploration reported in its filings that Guatemalan authorities granted it a concession for the El Escorpión project. 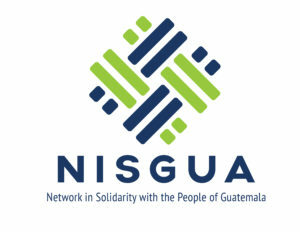 Local organizations, however, have not been able to find any record in Guatemala in the company’s name. They do note that the Ministry of Energy and Mines reported having granted an exploration concession to an individual, Esperanza Elizabeth Picón Castro, in same area that Gunpoint claims to be investing in and on the same dates that Gunpoint filings refer to. After the exploration concession was granted, local organizations filed two injunctions against it given concerns over potential impacts on local water supplies. In their letter, local organizations question the company’s judgement about operating in the area, citing prior history between the President of Gunpoint Exploration, Randy Reifel, and Goldcorp’s conflict-ridden Marlin mine in northwestern Guatemala, where Maya Mam Indigenous communities have never provided their free, prior and informed consent for mining to take place. Reifel was President of both junior mining companies that undertook prospecting and exploration in the area of the Marlin mine before Glamis Gold purchased the project in 2002. Reifel was also a director of Glamis Gold and then of Goldcorp since it acquired Glamis Gold and the Marlin mine in 2006. A complaint over Indigenous rights violations, as well as health and environmental harms at the Marlin mine, is proceeding before the Inter-American Commission on Human Rights. From 2007 until June 2015, Goldcorp also held an interest – wholly or in part – in the widely contested Escobal project. The letter questions Gunpoint’s decision to invest once again where community opposition to mining has been made explicit, rather than to try to improve on past mistakes. 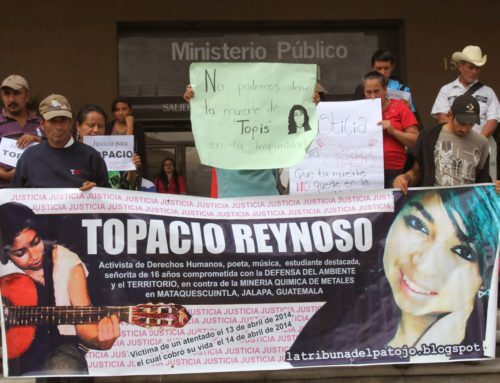 Finally, the letter concludes challenging the company’s choice of name, stating: “Tahoe Resources, in cooperation with Guatemalan authorities, have implemented a policy of fear and terror in the area in order to impose the Escobal mine project in the area. The mere name of your company feels like another threat to us.” Before Tahoe Resources’ mine was put into operation a militarized-security strategy was implemented oriented to quash local opposition to mining in the largely agricultural area.